This recently remodeled and renovated property has been immaculately updated. Boasting over 1100 square feet, including 4 beds and 2 baths; this residence is perfect. Upgraded flooring creates a sleek look throughout. Natural light streams in from the many windows and imbues the home with luxuriant brightness. The master bedroom is large and airy with a beautifully redone master bath. Function and modernity combine to form a beautifully appointed kitchen that is sure to impress both the casual cook and the gourmand. Chic wooden cabinetry and long counters ensure a comfortable space to practice your culinary skills and entertain with ease. New stainless steel appliances and open kitchen floor plan set this space apart. Freshly painted both inside and out with all new fixtures, you+GGd never know this house was built in 1956! This home is the height of Foothill living. 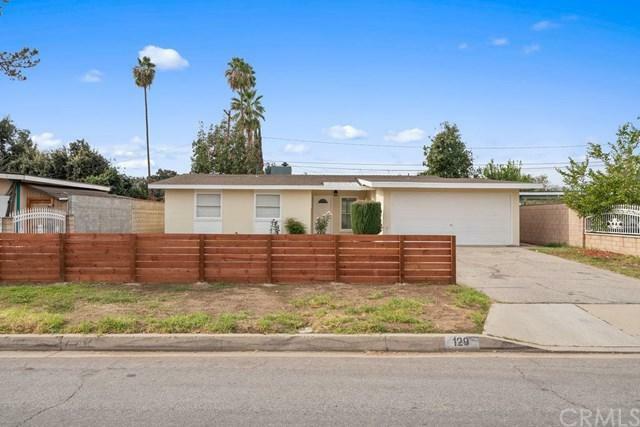 Conveniently located near APU, 210 and 605 Freeway, Azusa High school and the Citrus crossing shopping center, this gem of a house is perfect for individuals, couples and families alike. Friendly neighbors with major pride of ownership fill the surrounding community...Come make yourself at home! Sold by Noel Palmieri of Century 21 Ludecke Inc..